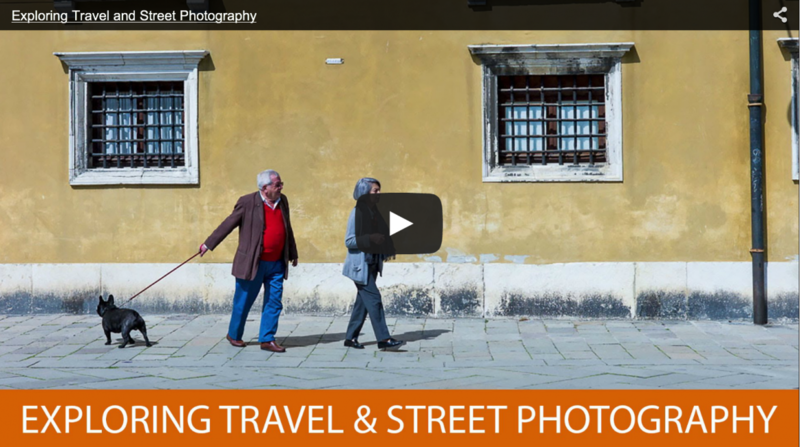 Every once in a while I share Street Photography videos over on DecisiveShot.com but I couldn’t resist sharing this with you guys over here on PhotolisticLife. The video was done by B+H Photo (an incredible tech/photography store in NYC and online) and features photographer John Batdorff. If you have a family and a passion for photography you’ll be able to relate with John. I only share videos that I feel I either learned from or derived some inspiration from, this one provided both for me. One of the things I thought was great was that his families participates in his photography. When they planned their trip to England they made sure they were staying somewhere near where he wanted to capture the quintessential England photograph. When he went out and did long exposure with his 10 stop ND filter he took his daughter along and they climbed down a hill/cliff to the beach. He is creating experiences with his family built around time with them and photography rather than leaving them at the hotel while he takes his camera out. I always try to combine the things I love too… Sadly I can’t get my fiancée to wear a shirt made out of beef jerky yet. One of my favorite shots of his is right in the beginning of the video, the one of the Eiffel Tower and the long boarder in front of it. A great example of the decisive moment. John talks about what went into creating that shot in the video but I wanted to revisit it in the paragraphs below because I think it’s paramount to good Street/Travel Photography. Let’s re-imagine the scene real quick, you’re walking along looking at the Eiffel Tower and trying to find a unique shot of it. In your mind you’re thinking “this is going to be difficult because the tower has been around for quite some time and has not changed significantly in that time so I had better look for something in the foreground that would add that “unique” sauce to my image”. So as you walk along you see kids with long boards (long version of a skateboard) zipping along and doing little tricks back and forth. So you place yourself between the kids and the Eiffel tower, making sure your composition is just right… And wait. Five minutes, 10 minutes, 15 minutes, and BAM! 20 minutes in you get the shot you wanted (you’ll have to watch the movie to see). A few really important things had to happen for this shot to come together. First, he had to be observant enough to see a scene unfolding in front of him and make the choice to get ready for step two. Second, once he sees a potential scene he previsualized what the image could look like and put himself in place to capture it. Lastly, John needed to be patient enough to wait for the right action to take place, that decisive moment if you will. What was your take-away from the video? Please share your thoughts in the comments below.